Foam Speaker Repair - EASY!!! I have 2 pairs of old EPI-100s that I really like, but both needed new foam rings that suspend the cones. 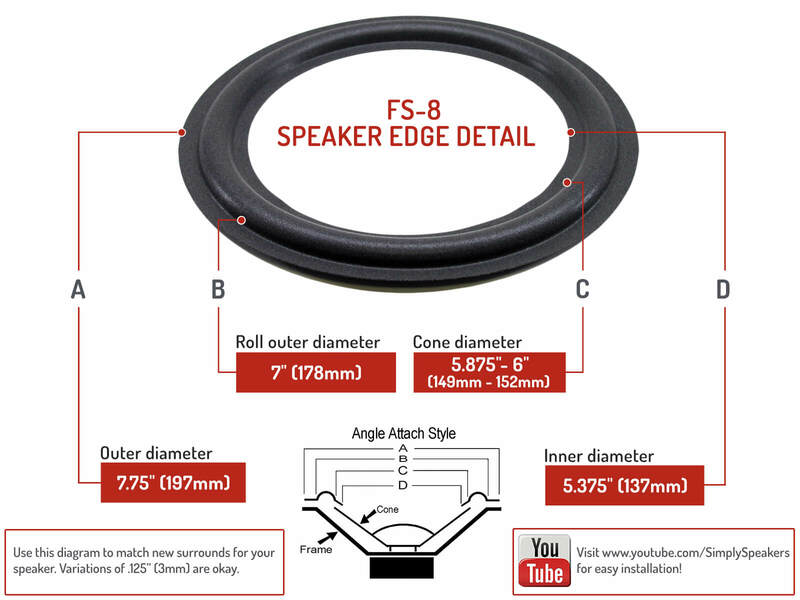 I found Simply Speakers in a web search, watched the repair video, and ordered the repair kit. It was really as easy as shown in the video & the speakers are back in good shape. I was a little sloppy with the glue first time around, but that's easily remedied. I also found info on an older set of EPIs that were not labeled. The web site helped identify those. Thanks, SS!!! This product brought back to life a set of 38 year old speakers I have kept all these years waiting to repair them. After searching for "replacement speakers" I discovered this product to repair them for a much less price than the replacement cost. They were easy to install and repaired my speakers like new. As a matter of fact you can't tell they have been repaired. The instructions were clear and easy to follow. The hardest part was cleaning the old material off to allow the new to take it's place. 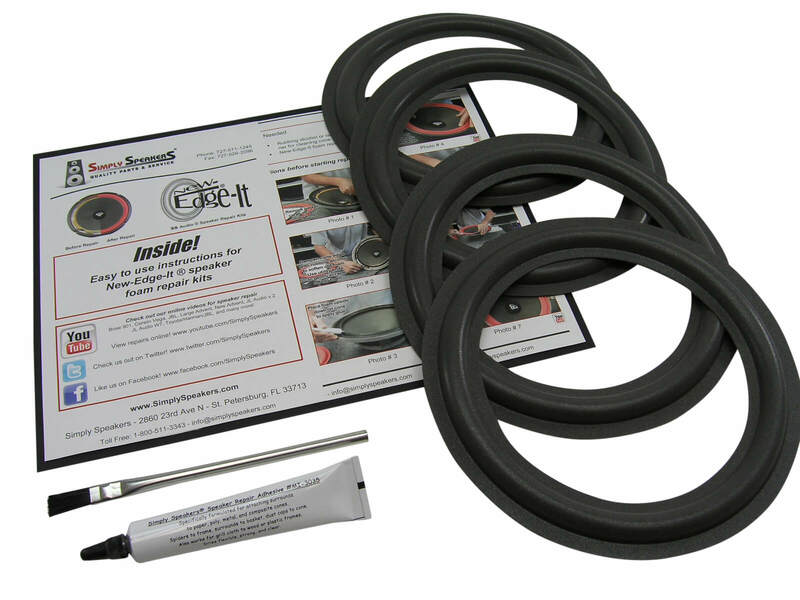 Even if you have never repaired a speaker before, with this product anyone can do it. EPI: 10, 15, 20, 100, 110 C, 110C ,120 (Harman), 140-C, 140C, 150, 180, 200, 201, 202, 250, 350, 100-A, 100A, 100-B, 100B, 100-V, 100V, 20+, A-200, A200, 200-B, 200B, 200-C, 200C, 200-V, 200V, A-110, A110, M-100, M100, M-110, M110, M-180, M180, M-202, M202, M-3, M3, M-90, M90, Mini Tower, Model 10, Model 2, Model 3, TE-100, TE100, TE-280, TE280, TE-380, TE380, Epicure 20, and many more!